» Rain tax: What does EPA really want? Rain tax: What does EPA really want? Would parking lot warnings against dumping, like this one, satisfy the EPA? In its march toward an Albany rain tax, the city council says the foremost reason for adopting this storm water disposal fee is a federal requirement. But it’s not clear that the feds actually require very much or that what they require has to cost a lot of money. Albany enacted new rules on construction sites some time ago, and it already makes sure that big projects handle runoff so it does not carry pollution to the river. So those things are covered. Public outreach and participation are not complicated. Finding illegal dumping might be harder, but encouraging good housekeeping is not. In Oregon, EPA rules are carried out by the state Department of Environmental Quality. The city staff has warned the council that the DEQ is writing proposed rules that would be burdensome, and Councilmen Floyd Collins, Rich Kellum and others have vowed to push back against any DEQ mandates that go beyond the EPA rules for Phase II permits. The city would have a solid legal foundation for pushing back. The state constitution prohibits agencies from imposing regulations on local governments without also providing the money to carry them out. (That’s the same section Linn County is using to challenge the state’s higher minimum wage law.) The constitution makes an exception for mandates to carry out federal requirements. In Minneapolis the fee is based on how much of your land is impermeable surface (roof, parking lot). All landowners are charged, including churches,etc. A portion of the fee is waived if the landowner installs such features as rain gardens to trap and filter rainwater before it gets to the storm sewers. 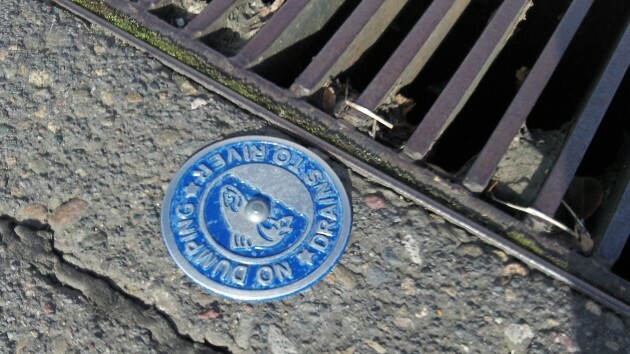 Each property owner should only be taxed IF their rain drains are routed to storm drains. There are many homes that have dry wells and are not using the storm drains. It’s easy to figure out by using non toxic dye in your gutters to see if it ends up at your curb. It seems to me that all 6 of the criteria are pretty well covered now. Just some fine tuning may be necessary. I have experience with #4 and 5, “control runoff at construction sites” We had a house under construction in the winter of 2011-2012 in Albany. Every week a city employee would come out and make sure we were within regulation guidelines for runoff from the building site. And if we were not, it was up to us to pay for erosion control, not the city. As far as the wages for the employee that came out regularly from the city, I would imagine that cost was included in the large building permit fee we paid the city. Hasso–I’d like to know when the epa and the city will meet to discuss and determine requirements. Are those meeting open to the public?? I’m concerned like the old political cartoon—someone is missing at the table–taxpayers. How requirements are stated i. e. may v shall is really important and how to implement the words can’t be left to individual interpertations. I like the nullification of unfunded mandates as brought to the front by the LInn County Commissioners with their law suit. It obviously has several applications and if upheld may slow the march of unnecessary laws and regulations. Unfortunately, businesses and individuals don’t seem to be covered by that concept. So we pay for the regulations on us and pay for the ones on our local governmental agencies. Nullification is one of the proverbial slippery slopes. Anarchy begins with one apparently simple step. The succeeding steps are far from pretty.